Wear it white or wear it black. This reversible dress belt can do it all. 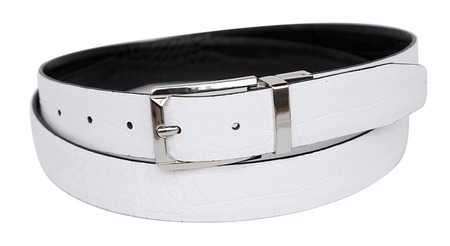 Features a classy alligator pattern texture and fits up to size 44 waist.